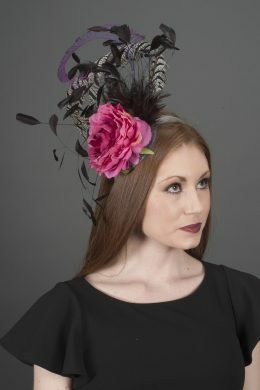 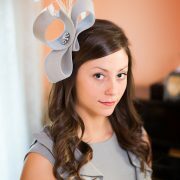 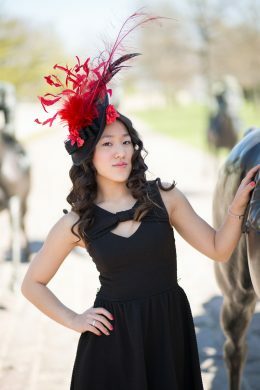 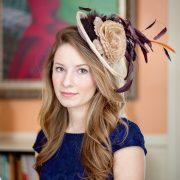 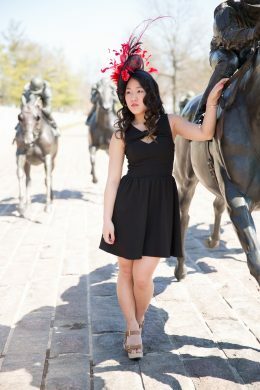 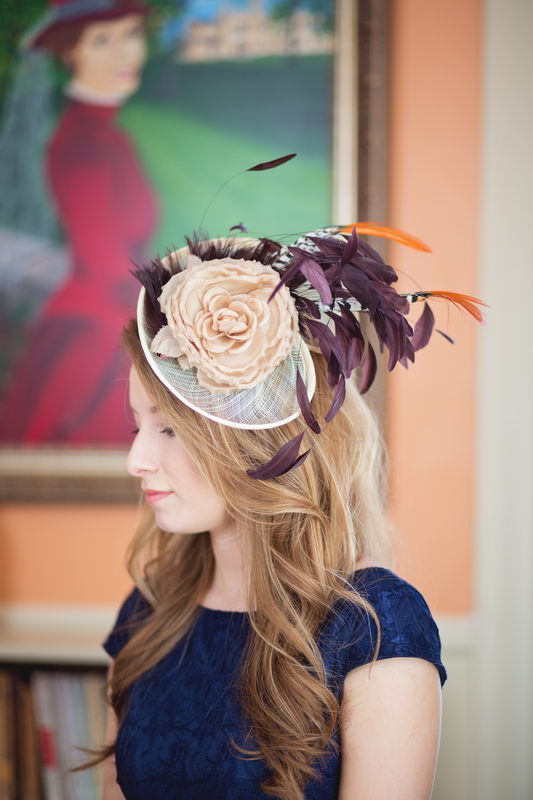 Audrina is a neutral fascinator yet has a splash of color. 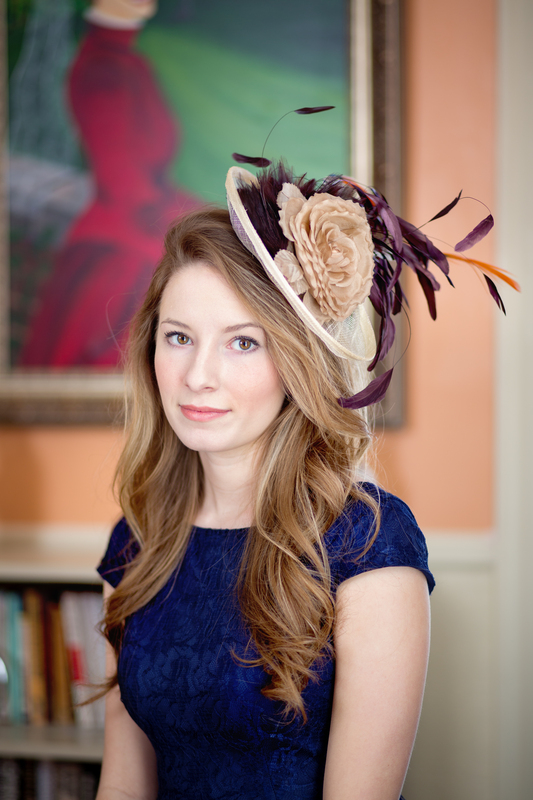 Wear Audrina to the races, church or even a fall wedding! 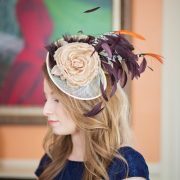 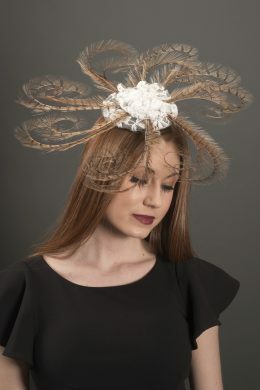 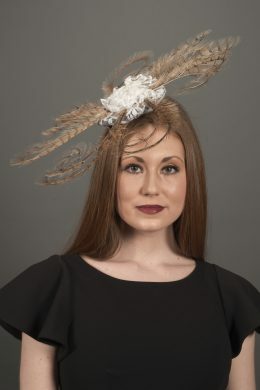 The base is ivory sinimay with a luscious chocolate brown feather mount. 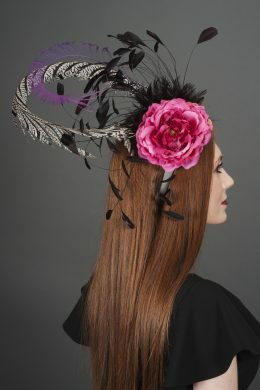 The soft caramel silk rose adds a touch of color. 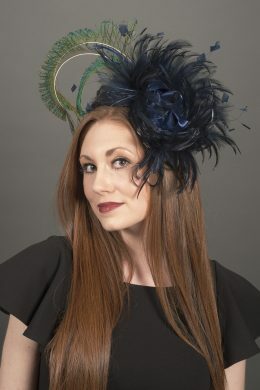 Two pheasant feathers give Audrina the finishing touch. 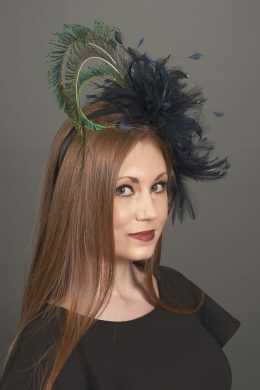 Audrina can be worn on a comb or headband.